Go back in time 20+ years and you will find that sending event invitations was straightforward. Your only option, for the most part, was to send paper invitations. In today’s day and age, things have changed a bit. Now, you have a couple of options though the most popular is online. Which one is right for your event? Which one will attract the most attendees? Here is what makes a decision so difficult: there is no right or wrong answer. The choice is yours, and you can only make a final decision once you are comfortable with the pros and cons of each. ALSO SEE: Should You Worry About Scalpers as an Event Planner? People still get excited when they receive snail mail. High sense of style and personalization. Connects with older generations who are not using email frequently or at all. More customization and personalization options than ever before. Free (if you want it to be). Opportunity to show recipients who else is invited and attending, such as when you use Facebook. Now that you understand the benefits of both paper and online invitations, it is time to make a big decision: which one will you rely on for your next event? The good thing is that you cannot go wrong with either decision. Just understand your audience and what they will react to the best. Usually, it is easier for many attendees to easily RSVP online, giving you more accurate attendance numbers, which is very helpful when setting the budget. What type of invitation will your audience best respond to? Do you have a better chance of converting invites to attendees if you choose one method or the other? Will you be able to get the level of customization you need with both options? Are you comfortable with the cost and time requirements associated with both? Do you have a higher level of comfort with paper or online invitations? This information is meant to give you a closer look at both types of invitations. Only you know what is best for your event. Only you know what has worked best in the past. What are your thoughts on this subject? 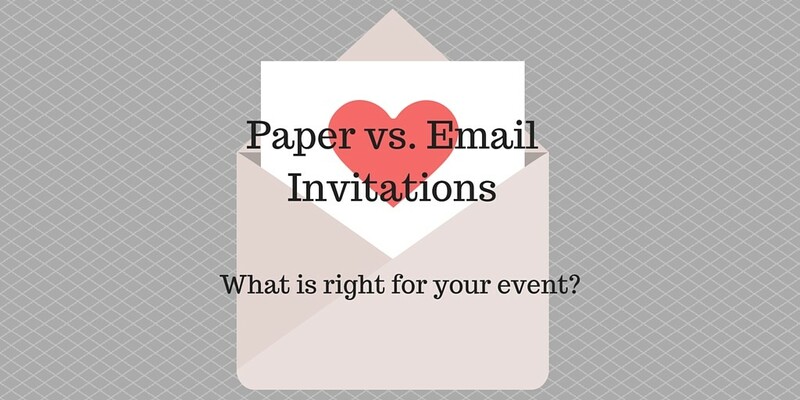 Do you typically lean towards paper or online invitations? RFID: A Good Choice for Your Event?